Conferences and industry specific events are one of the most time-honored methods of deal sourcing and business development for investment professionals. From meeting CEOs to getting the latest information on industry trends, there are a number of ways attending events can help make you a smarter, more productive dealmaker. Hitting the conference circuit, however, requires time and travel. It represents a significant line item on the business development budget. 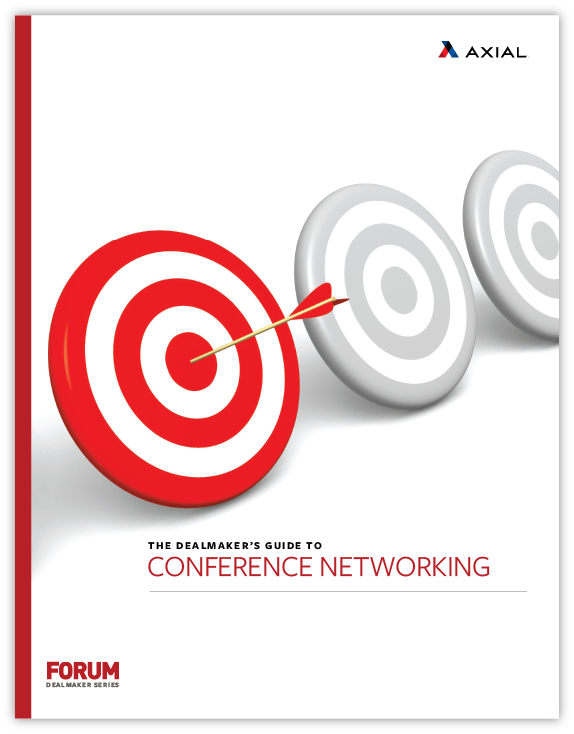 In this guide to mastering the conference, we’ll discuss why dealmakers should attend events, and how to maximize value, amplify your message, and get the most out of networking. We’ll introduce you to the eight types of people you can expect to meet at industry events and provide a pre-conference checklist to make sure you set yourself up for success.